SCID Newborn Screening | Health Research, Inc. Currently, the only test available with the potential for detecting SCID (severe combined immunodeficiency) in the Guthrie specimen is the TREC (T-cell Receptor Excision Circle) assay. However, this presents a challenge because the TREC assay is a DNA test which takes 24 hrs. to generate a result and it is not universally accepted as a primary screening protocol. Alternatively, our immunoassay is designed to detect CD3 in whole blood and can generate results in 3 ½ hours.. Immunoassays are used routinely in newborn screening as a first-tier screening protocol. Therefore, a less costly, quicker result can be generated in an alternative test where there is already an established protocol. Using the Guthrie specimen (a sample card containing blood drops from the heel of a newborn), our immunoassay utilizes novel antibodies against CD3 epsilon peptides as a marker for T-cell deficiency. Its sensitivity, specificity and coefficient of variation show no false positives and no false negatives. Therefore, this assay is very promising as a viable alternative or complement to the TREC assay for detecting SCID and other T-cell immunodeficiencies in a Guthrie specimen i.e. whole blood. SCID presents as one of the greatest opportunities for newborn screening, and also one of its most difficult challenges. It is a rare disorder found in only 1 in 40,000 births annually presenting with a severe defect in T-cell production as its defining characteristic along with B lymphocyte deficiencies as primary or secondary. The CDC estimates that nearly 4 million newborns are screened annually in the U.S. for numerous diseases, but only 16 states currently screen for SCID. Expanding test panels to change testing protocols has been slow due to low levels of resources combined with interpretations of the available data. For example, 8 States mandate screening for as few as 4 conditions, while a number of States screen for as many as 30 conditions. A diagnosis of SCID is a pediatric emergency treatable by hematopoietic stem cell transplantation (HSCT). If SCID is left undiagnosed, eventually life-threatening infections will develop and the infant will die before the first year. This is the first and only condition on the newborn screening panel of 30 genetic diseases that is curable if identified and treated in early infancy. Immunoassay for Newborn screening panel Severe Combined Immunodeficiency (SCID). Immunoassays are used routinely in NBS as a first-tier screening protocol, therefore the multiplex immunoassay presents as a viable alternative or complement to the TREC assay in detecting SCID. For markets where DNA/TREC Assay testing equipment is not widely available i.e. Brazil, Asia. Health Research, Inc. is seeking diagnostic companies interested in commercializing the immunoassay for newborn screening to detect SCID and other T-cell deficiencies. For 28 years Dr.Kenneth Pass was director of the NYS Newborn Screening Program. During that time he introduced screening for biotinidase deficiency, congenital adrenal hyperplasia, and Krabbe disease. The NY program was the first to use a call-in system by which physicians could obtain test results on any day at any time, the first to provide a portion of the specimen form for the mother to facilitate acquisition of test results, the first to implement HIV testing of all newborns, and the first to test for the LSDs. He has published over 80 peer reviewed papers, eight book chapters, and delivered lectures all over the world on many different aspects of NBS. With funding from NICHD he has developed multiplex assays that screen for CH/CF/CAH (5-plex), SCID (2-plex), and autism (7-plex), all using a single 3 mm spot. 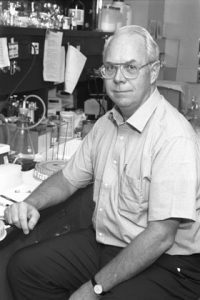 Currently his laboratory is developing a multiplex assay for hemoglobin variants that can be added to each of the above, thereby allowing calculation of the hematocrit and normalization of test results.